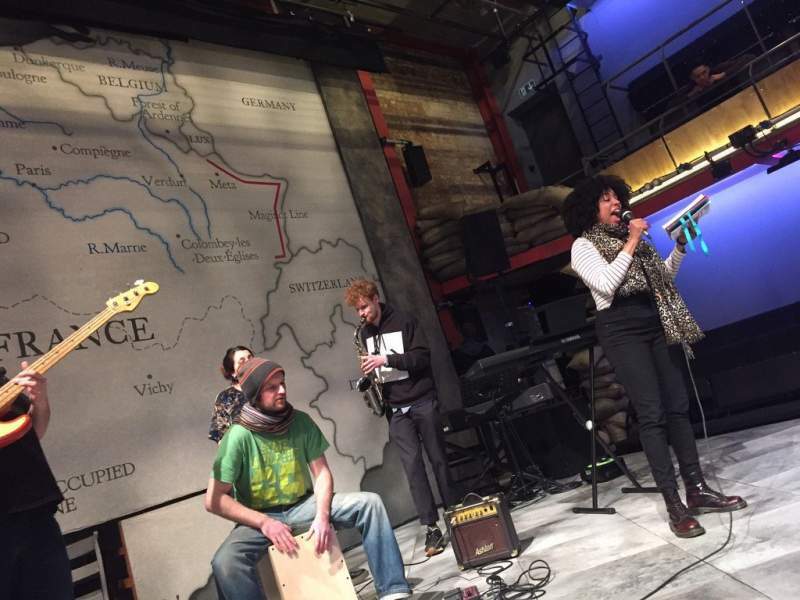 The Leftovers, a new production from dynamic theatre company Sheep Soup Productions, follows a makeshift band coming together in a Nottingham recording studio to record a charity single. Each member of the band is here following the sudden death of their friend (and occasional gig reviewer) Jodie. They’re gathering to remember her, to share stories, to commemorate her life with an original song penned by local singer-songwriter Hayley. The problem is that the group cannot agree on what Jodie would have wanted. She was the very definition of misadventure. How can they piece together Jodie’s complex life and trail of cracked relationships in a way that combines nostalgia, romance and creative ambitions? How can they bring musical life to the scribbles, poems, lyrics, philosophies and apologies Jodie left behind? It’s going to take more than a few smoking saxophone riffs and a cool loop pedal to make sense of their friend’s muddled meanings and unfinished business. Join them at Northern Stage on Monday 14th May as, through musical storytelling, the band explores the pitfalls of artistic interpretation as the recording sessions veer from their original aims. How will they ever get back on track? This innovative take on a contemporary musical is full of live energy, emotion and creativity.